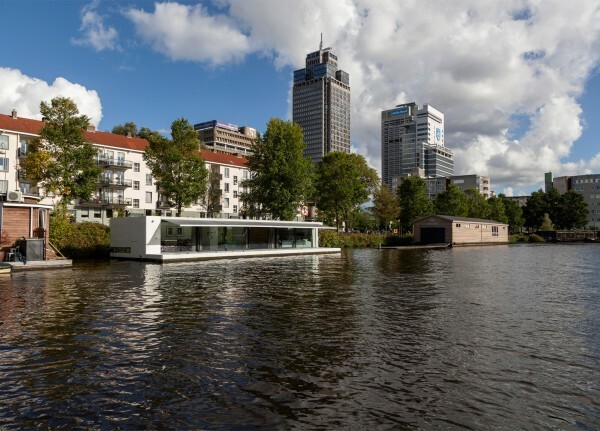 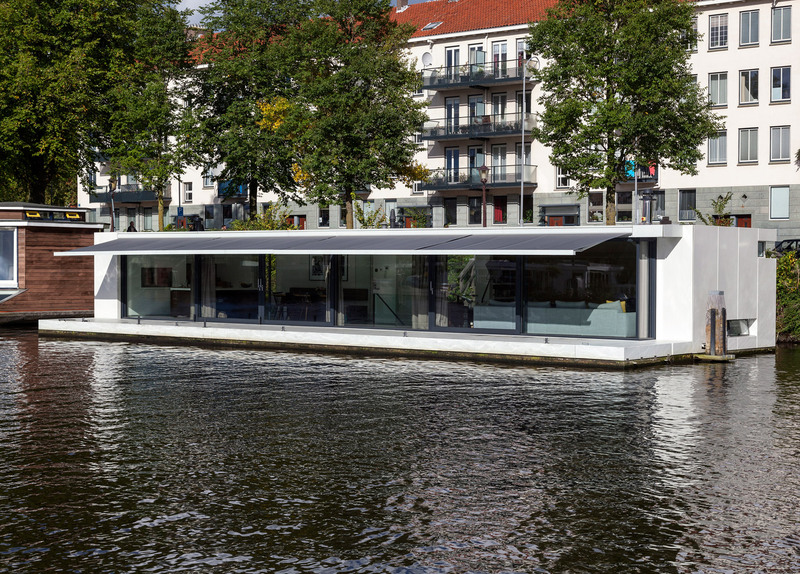 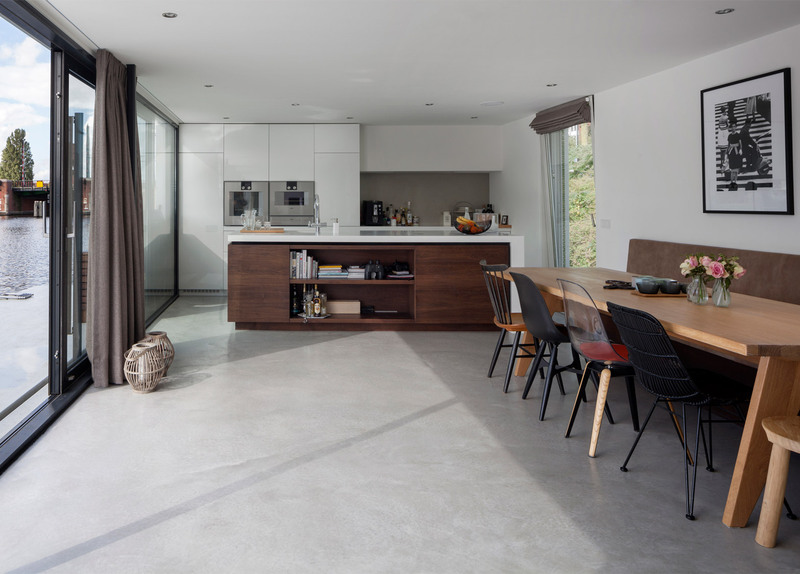 +31 Architects have built a house on the river Amstel in Amsterdam that has a rectangular structure that’s partially submerged under water and features an open terrace The house isn’t the first of its kind and has more than a few analogues in Netherlands and around the world alike. 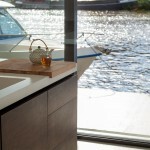 Watervilla Weesperzijde has a simple shape and modern minimalist interior. 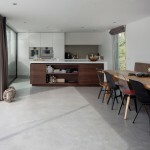 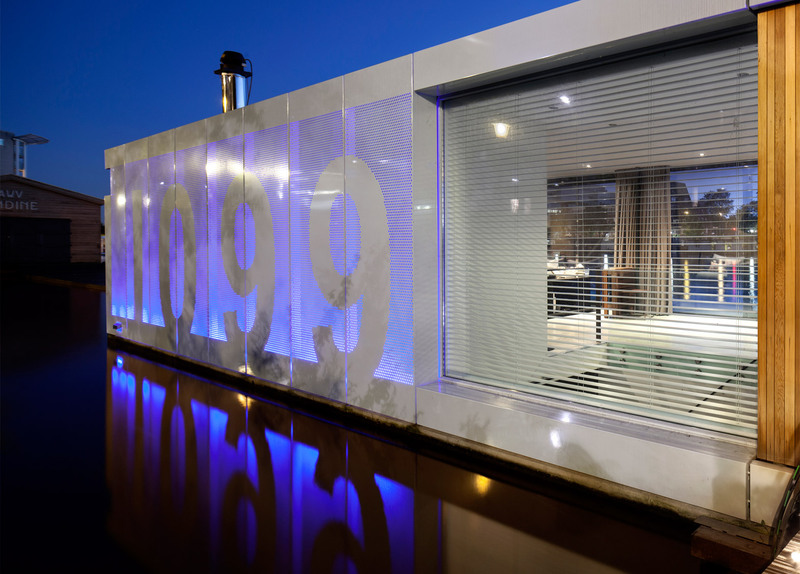 The sliding glass doors allow watching the panoramic views of the river from a sofa and an open terrace, which is basically an extension of the house floor can be used to dive from it. 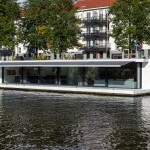 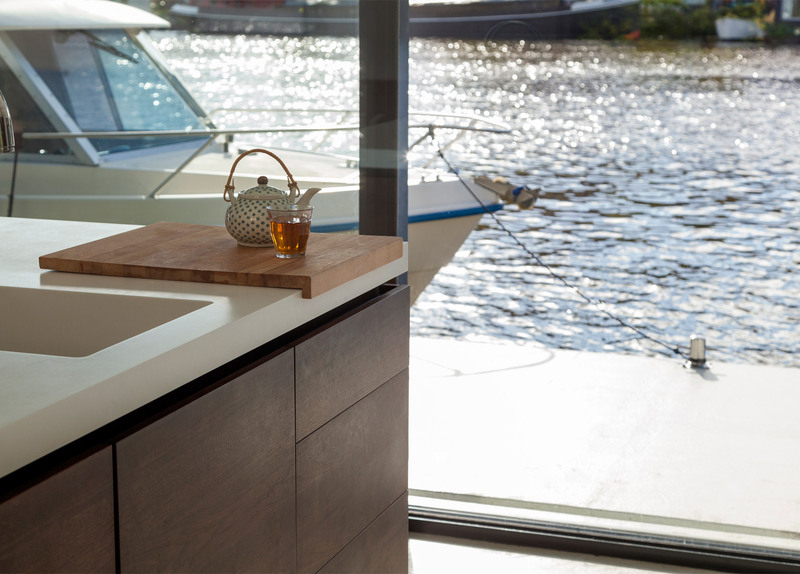 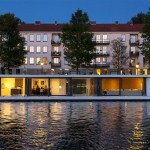 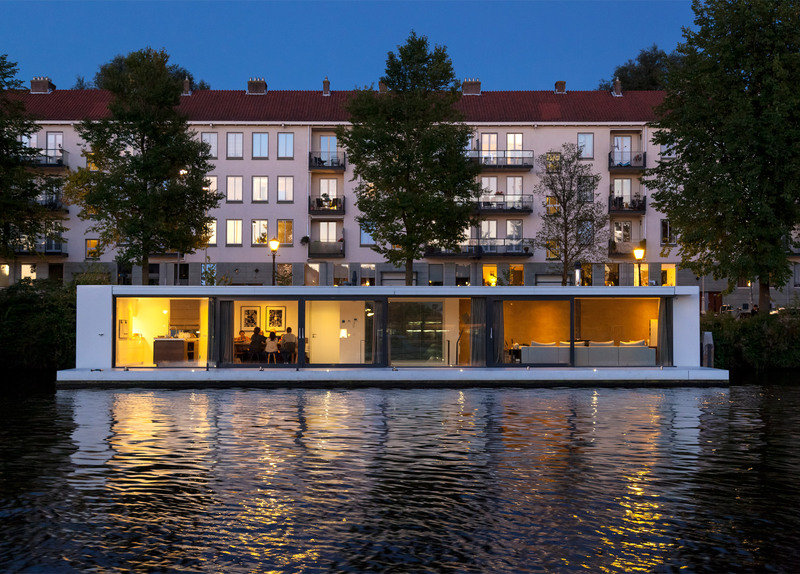 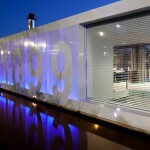 The floating part houses a kitchen with dining area and a living room. 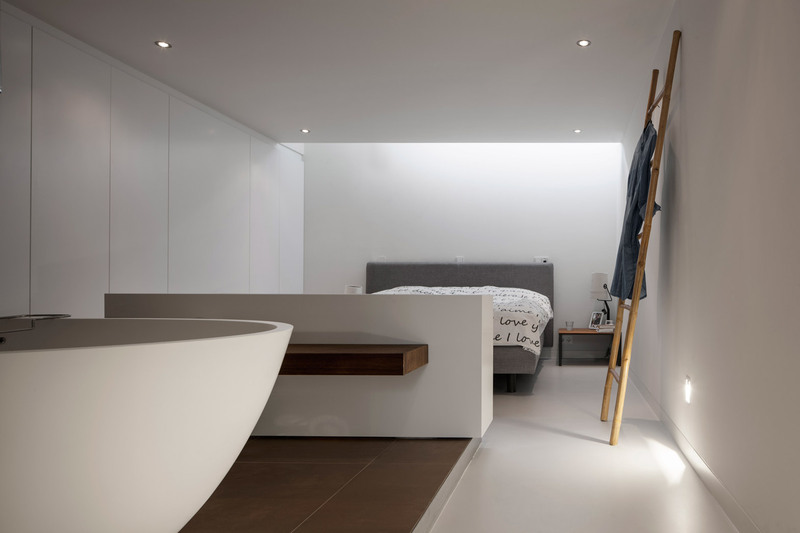 Bedroom and bath are located on a second floor under the water level.